We want to explore the importance of the soil in more detail, because in Part 1 of this series published in last month’s newsletter (April 2013) we explained that only three of the sixteen essential elements for plant growth enter the plant via the leaves. The other thirteen enter via the roots. In Part 2 we will show that a healthy, living soil is essential for these elements to enter the plant via its root system. And we will also claim that a soil cannot be healthy if it is has been sprayed with herbicides such as glyphosates or 2,4-D or treated with chemical fertilisers which disturb the balance of the soil and also kill off much of the microflora in the soil. In Part 1 we also concluded that geological minerals (known by chemists as inorganic minerals) are not volatile and are present in such low concentrations that they cannot contribute to either aromas or taste in wines. This point has been made clearly in many scientific papers including a recent one by Alex Maltman from the Institute of Geography and Earth Sciences at the University of Wales. However we are going to claim that there is a relationship between elements in the soil and what is known as minerality in wine. We are also going to explore the role of acids in helping our senses detect minerality. But first we will continue to look at how nutrients are transferred from the soil into plants and particularly into vines. The report of his speech by Sally Easton stated that he then went on to explain how there are many forests that have survived centuries in a sustainable fashion without man’s interference in the form of soil additions, be they fertilisers or chemicals. In talking about biodynamic producers who add humus to their vineyards Humbrecht said “it’s not really to bring fertilisers to the soil, but to bring something alive, microorganisms, and the elements of humus to stabilise the mineral fraction in the soil and bring energies to bring back harmony into our wines. We want our soil to be alive, with worms, fungus, micro-organisms, everything it takes to allow the mineral fraction to combine with organic fraction in the soil. If you don’t have this link the soil will fall apart”. And of course this is why we are so strongly committed to organic and biodynamic agricultural practices. If vineyards or fields are sprayed with herbicides or fungicides or pesticides it is not only the bugs on the plants or the weeds that are killed, it is also the ladybirds that fly through the vineyard eating insects, the worms that help aerate the soils and the microflora that provide life to the soil that are killed. These microflora contain essential enzymes that help the nutrients in the soil pass through the membranes of the roots via the mycorrhizae on the roots. Glyphosate reduces the activity of nitrogen-fixing bacteria. These bacteria transform nitrogen, an essential plant nutrient, into a form that plants can use. Glyphosate reduces the growth of mycorrhizal fungi, beneficial fungi that help plants absorb water and nutrients. Glyphosate also increases the susceptibility of plants to diseases, including Rhizoctonia root rot, take-all disease, and anthracnose. Let’s talk about mycorrhizae a little more. Perhaps Humbrecht was slightly inaccurate when he said “mycorrhizae on the roots” – it is more a case of mycorrhizae in the roots. They are fungi which develop a beneficial relationship with plants and help the plants to absorb the essential nutrient elements that all plants need. They actually invade the root structure and become embedded in them with their filaments (called hyphae) protruding out into the soil. These hyphae excrete enzymes that dissolve nutrients that then become available to the root system to absorb. It is these filaments that allow the nutrients in the soil such as potassium, nitrogen and sulphur to be transported through the cell walls of the plant. Without these mycorrhizae the rate of absorption of these nutrients by plants is severely diminished. Researchers at the University of California at Irvine have used interesting techniques to track the movement of amino acids through these hyphae and into plant cells. This experiment was one of the first to demonstrate direct uptake of organic nitrogen by arbuscular mycorrhizal fungi by using fluorescent nanoscale semiconductors to track the amino acids as they moved through the hyphae and into the plant cells. This is also important because the amino acid they followed was glycine which has the formula NH2CH2COOH or more simply C2H5NO2. Notice that this brings nitrogen into the plant! As Humbrecht argued, healthy soils play a vital role for the transfer of nutrient elements from the soil into the plant. We also think there is evidence that if these nutrient elements are present in high concentrations then the wine will have more flavour. But will the wine ‘taste of minerals’? In their interesting paper entitled Chasing after Minerality, Relationship to Yeast Nutritional Stress and Succinic Acid Production two Czech scientists, Mojmír Baroň and Jaromír Fiala, explored the concept of minerality in wine using a technique called isotachophoresis which is used to separate charged particles. The research they conducted involved determining the minerals present in two wines from vineyards with different soil conditions. One of the wines was regarded by expert tasters as displaying exceptional minerality and the other was regarded as being without minerality. However, they concluded that it has nothing to do with minerals. They found that it was more to do with the relationship between the nutritional stress of yeasts and succinic acid production, which can result in a final difference in the taste of wine. The more succinic acid the more differences in perceived minerality there was in the wine. 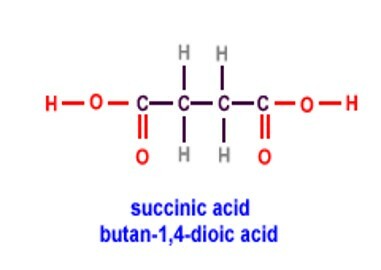 Succinic acid (HOOCCH2:CH2COOH or, more succinctly C4H6O4) is produced naturally during fermentation in both wine and beer and tasters talk about saltiness, acidity and, sometimes, bitterness in a wine with detectable levels of the acid. When we taste good wines from good terroir saltiness is often a flavour we perceive in the wine. We find this in one of the wines we import to Australia called Les Saulniers from Domaine de la Cadette where the vineyard soil is based on limestone and is incredibly alive. The presence of small amounts of succinic acid is considered essential in the development of beneficial esters during the aging process. The presence of this acid (which, like lactic acid, is not found in grapes but is created during fermentation) was scientifically documented in a ground-breaking paper published by wine researchers from Gallo winery in California in 1965. However it is not possible to draw simplistic conclusions in such a complex area as this. Another fascinating study published in a paper entitled Geochemistry and Minerality of Wine by Oze, Horton and Beaman showed a very high correlation between the presence of the aluminium and silicon rich Kaolinite (Al2Si2O5(OH)4) and the aluminium-rich Gibbsite (Al(OH)3) and perceptions in expert tasters of minerality in wine. In fact the expert tasters only reported minerality when aluminium or silicon was present in the wine. And so now we have three important areas of research which may point to a partial answer to the issue of detection of minerality in wine. We know that expert tasters can identify mineral tastes such as chalkiness in wines from Chablis. They can detect slate-like minerality in Rieslings from Germany and different mineral qualities in the granitic-based Rieslings of the Alsace. And it seems that we more often talk about minerality in wines from cooler climates where levels of acidity seem to be higher. 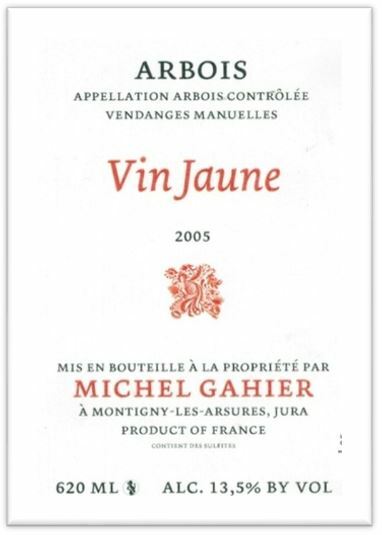 So it is very likely that provided the wines are grown in healthy soils that encourage mycorrhizal fungi which, in turn, permit a range of nutrients to be transported into the vines and subsequently into the grapes, the pre-conditions for minerality will be present. It then seems necessary for succinic acid to be created as a ‘transport mechanism’ that allows the palate to detect different types of minerality. It is only then that different elements such as aluminium and silicon can then be detected and provide the sense of minerality that everyone is talking about. However we also reach the conclusion that the detection of minerality is not simply a binary association of terroir and minerality perception. During fermentation there are incredibly complex reactions that take place which not only involve nutrients that are present in the grapes but also the dozens of yeast types and other microbes that contribute to the fermentation process. Of course there are then many complex compounds including succinic and lactic acid formed that impact on the taste and mouth feel of the wine. This has been a complex topic and we will probably write more about it as we learn more. What we try to leave you with is that wine will be influenced by the terroir from which it springs and that the terroir may contribute to a perception of minerality. We know this because when experts say ‘this is a Chablis’ or ‘this is a Riesling from Mosel’ it is often a perception of a particular type of minerality that prompts them. However we also think that there is sufficient evidence to show that the winemaking process is also involved and that wines are not simply an expression of terroir but also of winemaking styles and techniques that help to reveal the inherent minerality. K Baumgartner, The Role of Beneficial Mycorrhizal Fungi in Grapevine Nutrition. American Society for Enology and Viticulture ASEV Technical Update. 2006. 1(1):3. Matthew D. Whiteside, Kathleen K. Treseder, and Peter R. Atsatt. The brighter side of soils: Quantum dots track organic nitrogen through fungi and plants. Ecology 90:100–108, 2009. Mojmír Baroň and Jaromír Fiala, Chasing after Minerality, Relationship to Yeast Nutritional Stress and Succinic Acid Production. Czech J. Food Sci, Vol. 30, 2012, No. 2: 188–193. Yes, we know that the name of the wine may skew our judgement but many people tasting it blind come up with exactly the same sensation of saltiness.